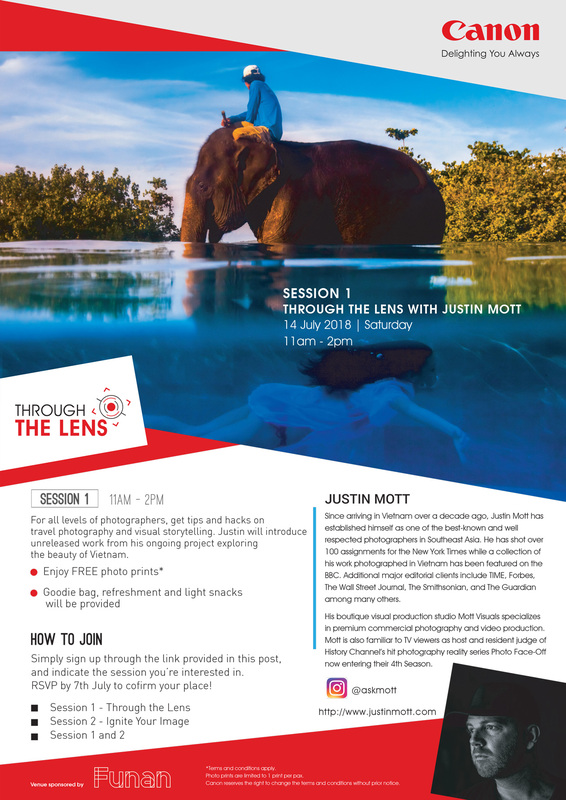 Justin Mott is an American award winning documentary, editorial, and commercial photographer and director based in Asia for over a decade. He has shot over 100 assignments for The New York Times and a collection of his work "The Changing Face Of Vietnam" was featured on the BBC. His boutique visual production studio Mott Visuals specializes in premium commercial photography and video production. 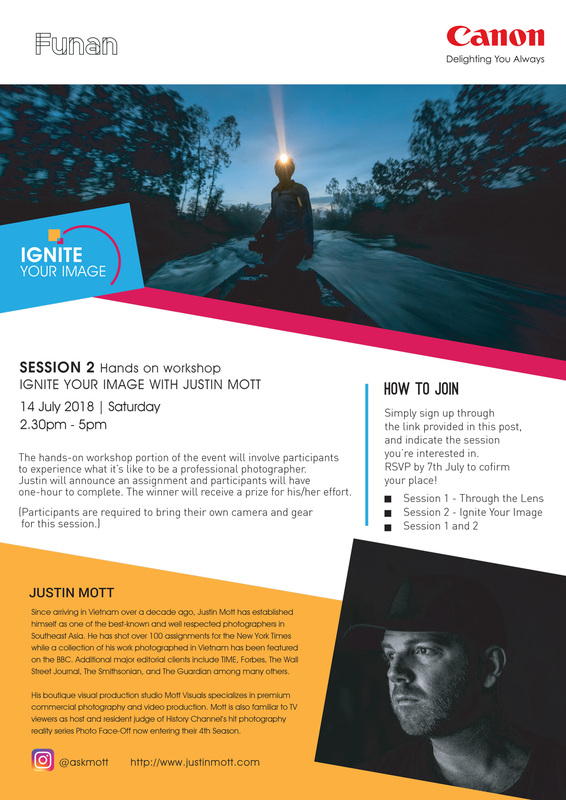 Mott is also familiar to TV viewers as host and resident judge of History Channel’s hit photography reality series Photo Face-Off now entering their 4th Season.